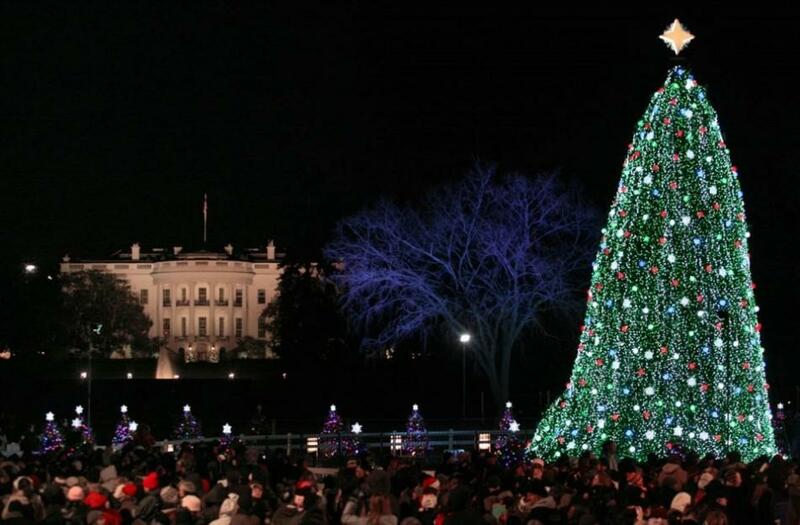 The First Family has released a holiday family portrait and an official White House Christmas card just in time for the close of 2011, part of a string of holiday appearances by the Obamas that included attending the lighting of the National Christmas Tree on Dec. 1. President Obama, wife Michelle and daughters Malia, 13, and Sasha, 10, were all smiles for their family portrait, which they released via Twitter. Though Obama has been in the White House for three years now, this is only the second family portrait released at Christmas. His first year in office, President Obama was snapped by legendary photographer Annie Leibovitz, a press event surrounded by media fanfare. In 2011, following economic upsets and lower approval ratings, the First Family opted for a more relaxed Christmas portrait shot by official White House photographer Pete Souza. 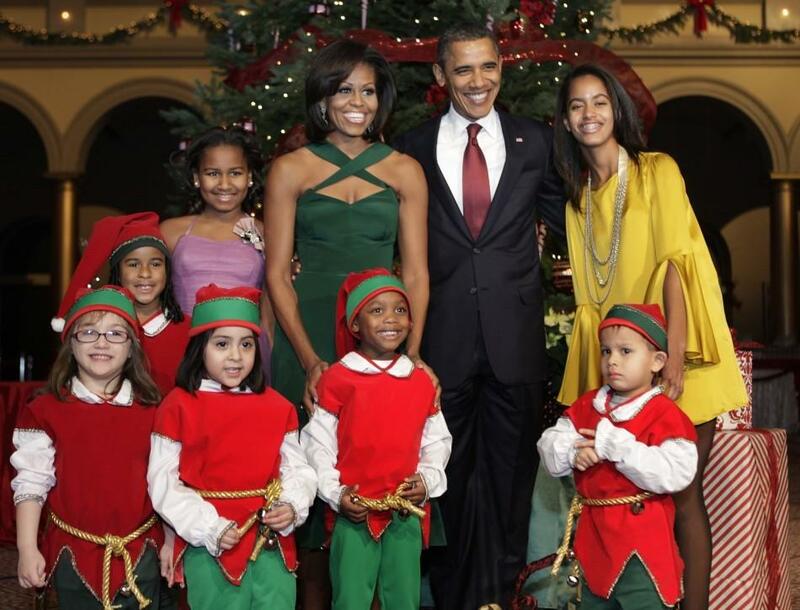 Though family dog Bo is missing from the Obama family portrait, the White House Christmas card, following tradition by having the First Family absent, features him prominently. Replicas of Bo, meanwhile, are said to be sprinkled throughout nearly every room in the Oval Office for Christmas 2011, from life-sized models in felt to marzipan miniatures of the First Pooch. 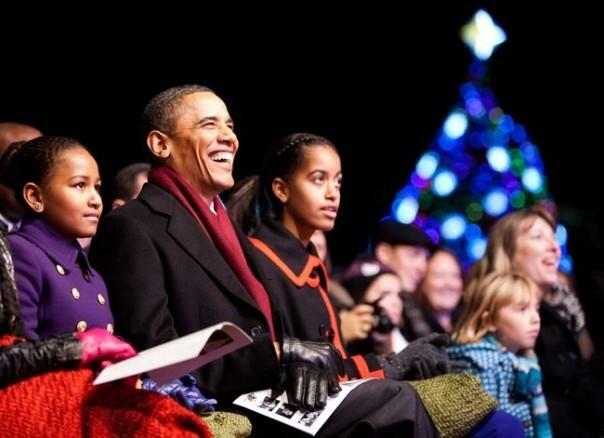 Below, see the Obama family's holiday portraits from 2009 and 2011, the official White House Christmas card, and the First Family celebrating the holidays in Washington, D.C.
From the annual lighting of the National Christmas Tree to Sasha and Malia greeting holiday elves, see how the First Family has grown and changed since coming to the White House. 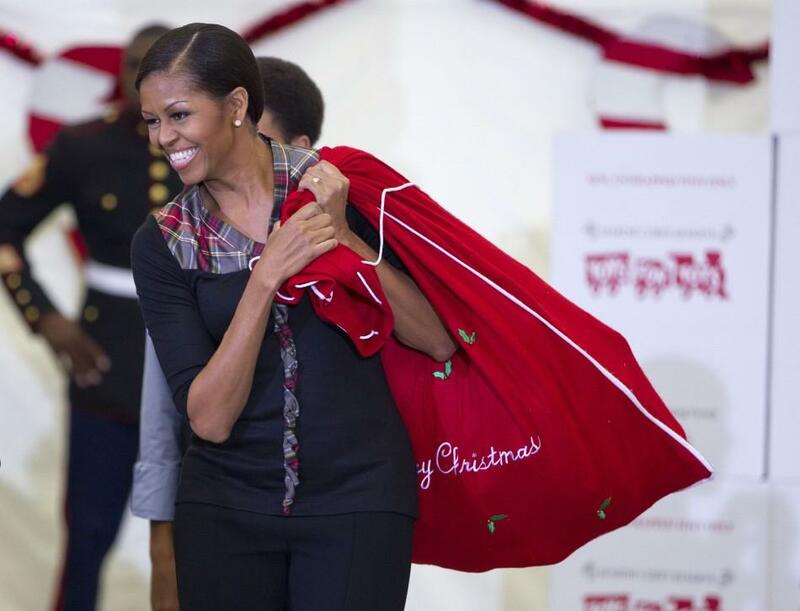 Merry Christmas and Happy Holidays, from the Obama family to yours.